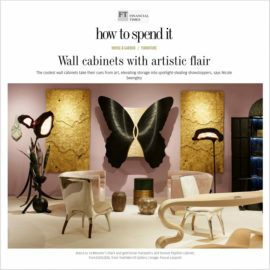 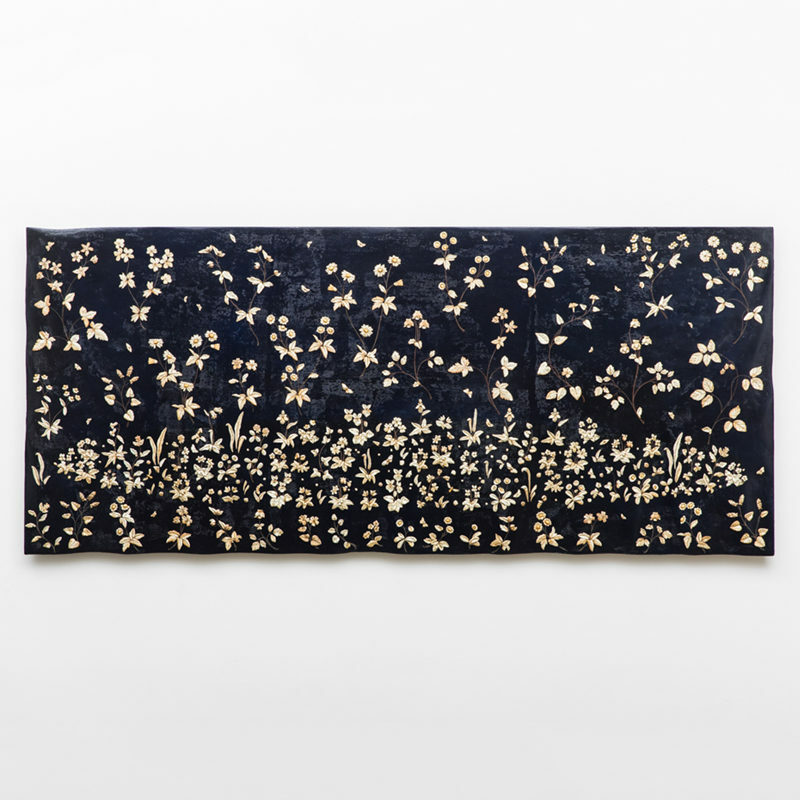 Float, a large carved wallhanging, draws inspiration from the unicorn tapestries in the collection of the Victoria and Albert Museum. 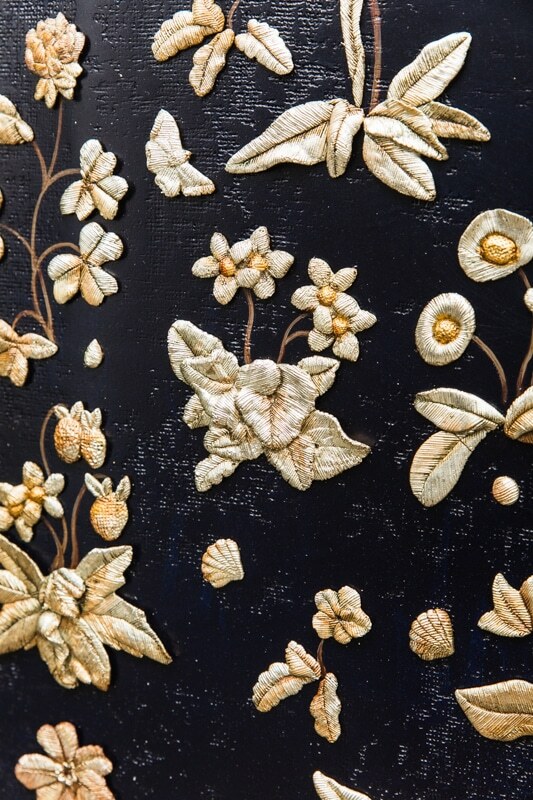 Created in the 1500th century, the tapestries known as millefleurs (meaning a thousand flowers) were woven in many different workshops in Northern France and Flanders. 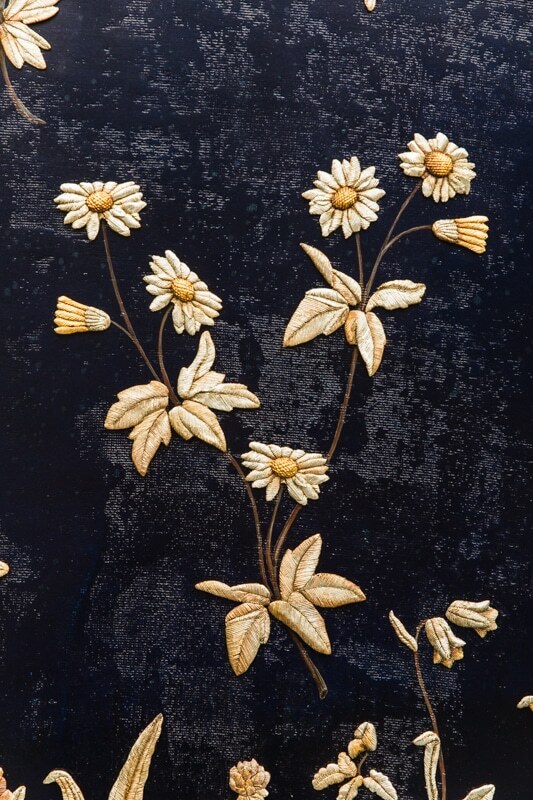 They often included small animals and birds among the flowers. 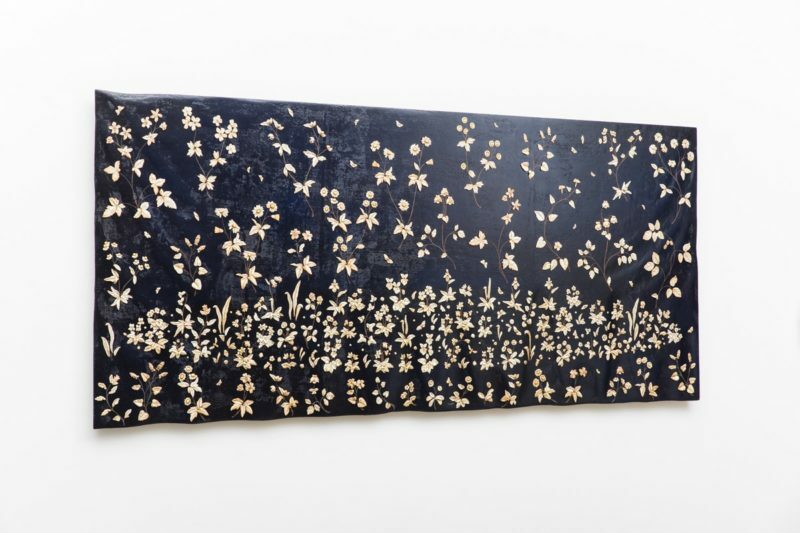 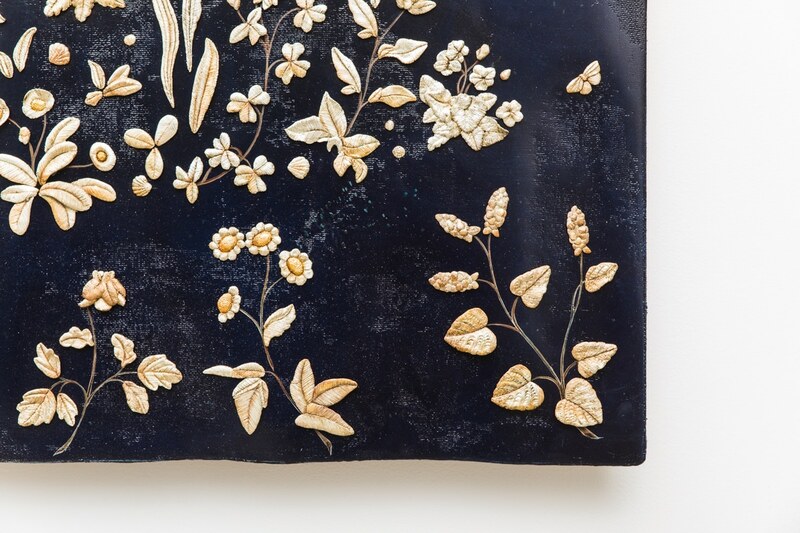 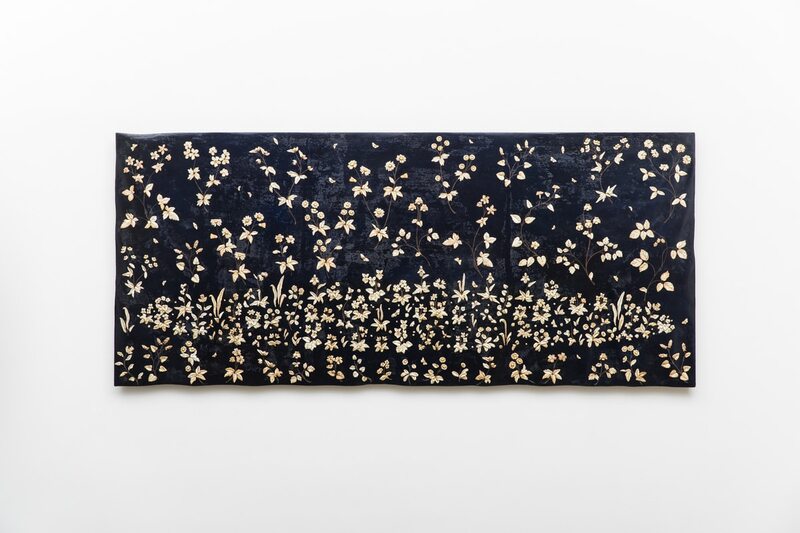 Coryndon’s magnificent work is adorned with hand-tooled flowers and insects that are cast and gilded before being arranged on a deep navy blue wood panel. 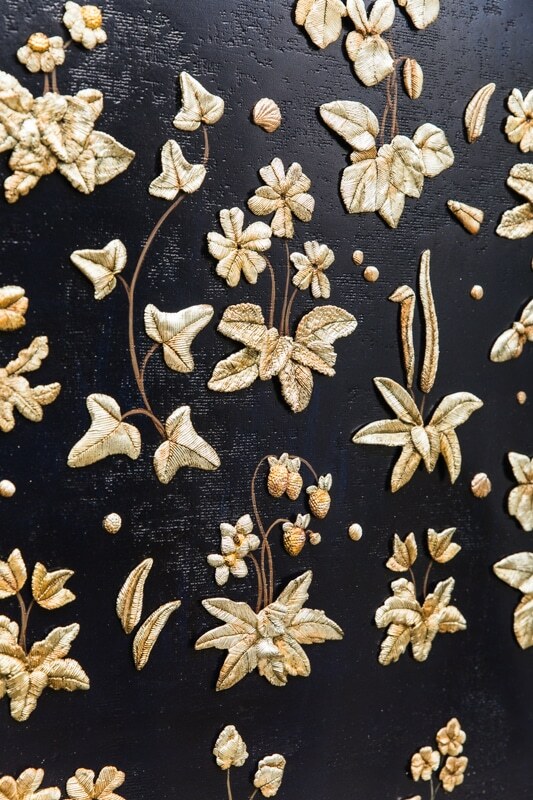 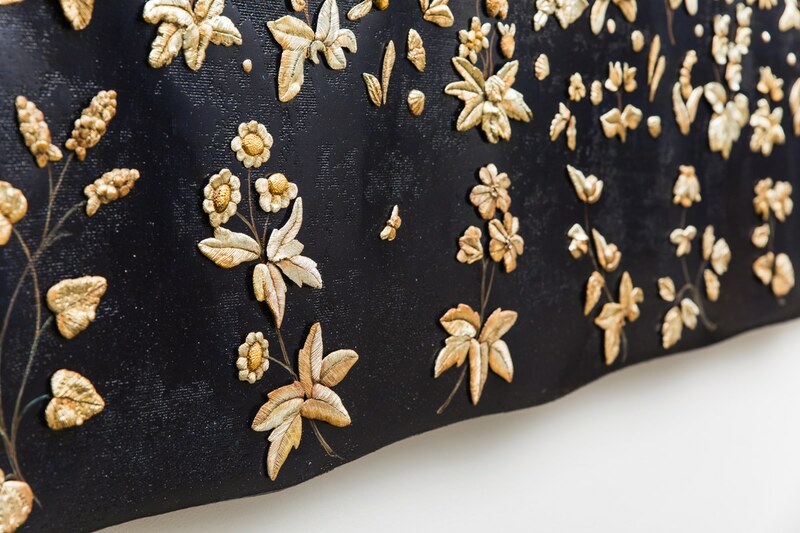 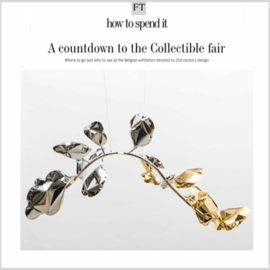 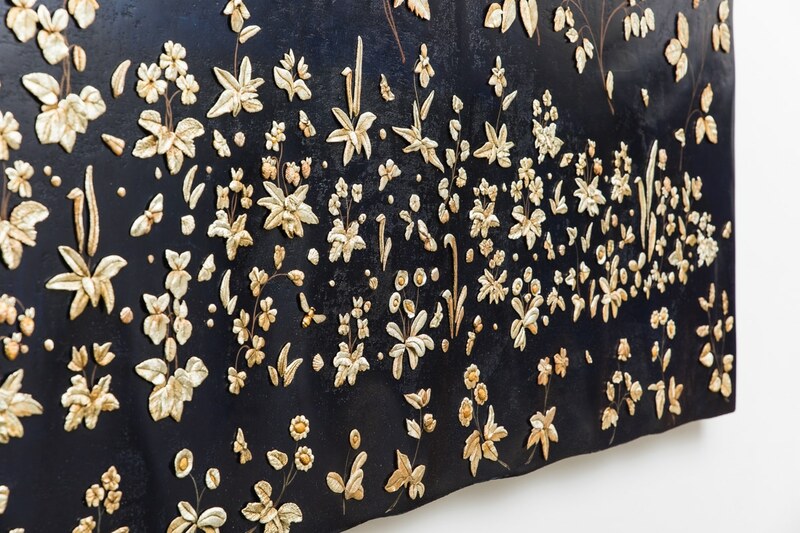 The individually crafted flowers, leaves and insects are carved to mimic the goldwork embroidery commonly found in church vestments, military costume and wall hangings. 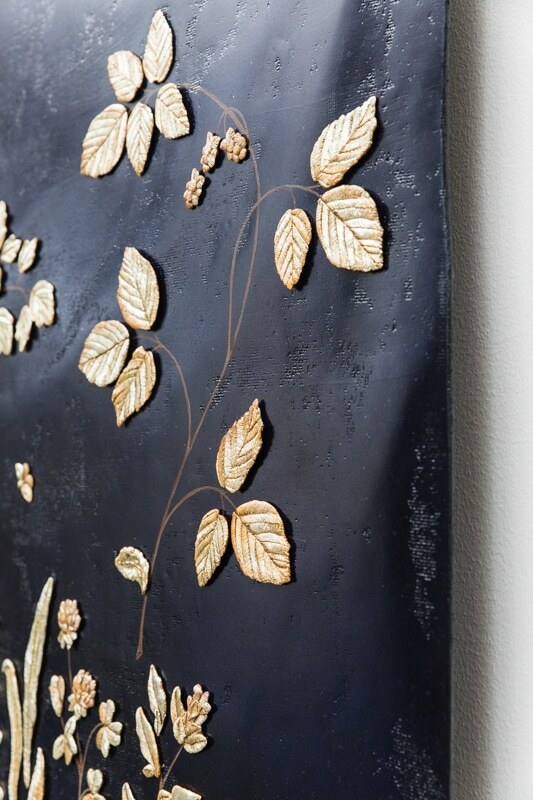 The edges of the panel has been carved resembling the tucks and folds of fabric.